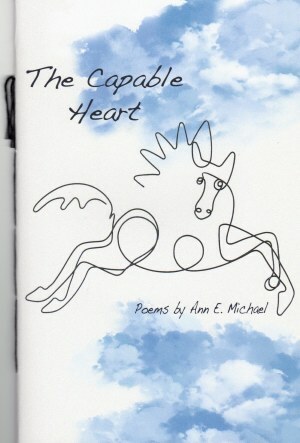 In The Capable Heart, Ann Michael evokes the wild beauty and power of horses that move us deeply and simultaneously call us to rein them in. Layered metaphor and images born of passionate attention describe the richly sensuous and spiritual encounter between women and horses: the caution and the ensuing trust, the strength arising from their closeness. We learn of the discipline between horse and rider that teaches a young daughter “who she is and who she will be,” of a mother's awakening to the restraints of her own domesticity-whether to follow the unbridled urges of her heart or to don the traces, bearing “with good will the burdens others impose . . . and pull for love.” These are moving, carefully crafted poems that earn our trust and build a world we enter and live in, which is what good poetry does. The domesticated horse is a marvelous example of how wildness tugs against an acquired desire for cooperation and duty, and the human attraction to horses offers a richly complex source for metaphor. The poems in this book take several inspirations as their source, chief among them my daughter's love for horses but also my own gradual acceptance of these large, beautiful, potentially-dangerous creatures, the long-shared culture of humans and horses, and what it means to be domesticated not only through the whip, figurative or otherwise, but through the bonds of love and coexistence. ill-cared-for and stray in my pasture. vanishing into thickets as light fades. big belly and a sore mouth. rolls his left eye away from me. a wound he wears without dignity. treat their hooves, bother with a currycomb. of food and shelter as might a cat. crisp brown clover and timothy. like burrs to the meadow's winter coat. 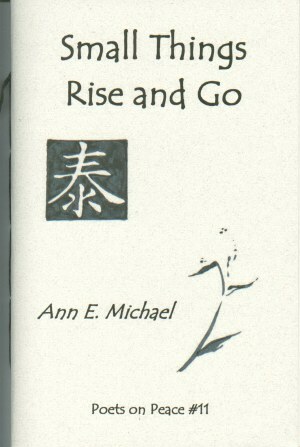 Ann E. Michael is the author of three previous chapbooks of poetry and an opera libretto as well as numerous prose works. She is an educator at DeSales University in Pennsylvania. 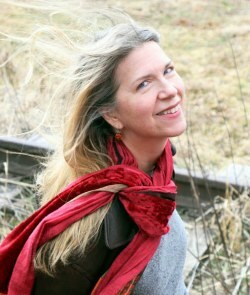 www.annemichael.com. Born in the Year of the Dog, Ann E. Michael lives with her family and many pets in Eastern Pennsylvania. She is a past recipient of a PA Council on the Arts fellowship in poetry, an essayist, librettist, and occasional radio commentator. She is currently teaching English at DeSales University in Center Valley, PA. This is her second poetry chapbook. I read 300 poems from the Chinese. flies buzz, the afternoon is warm. insomnia's caught up with me. I doze with Li Po and Tu Fu. something both solid and elusive. your time within its boundaries.